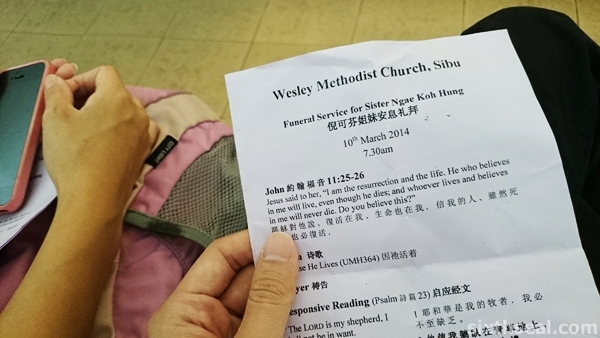 My mom passed on about two weeks ago and the funeral started at our home in Sibu followed by a service in Wesley Methodist Church with a bagpipe band before laying her to rest at Methodist Grace Memorial Park Cemetery. These are the photos from that day. We didn’t think about having a photographer around but one of my aunties kindly arranged to have her friend take the pictures and handed them to us. My better half flew back to Sibu too, it’s fortunate that my late mom has met her before and I’m glad she managed to take the time to come back. My sister and brother-in-law and my nieces and nephews are all here too – the family is all dressed in white. 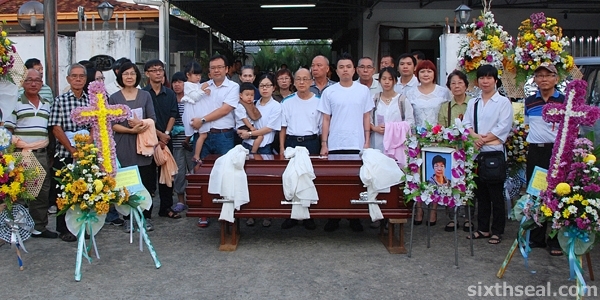 We don’t wear black for mourning unlike Western funerals, the immediate family is usually dressed in white for Chinese funerals. 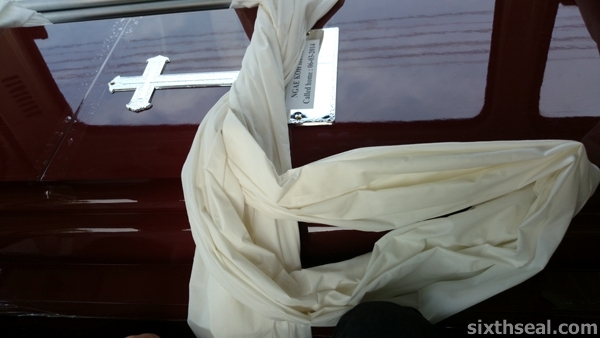 I went with my dad to accompany my mom’s casket on the van to the church. 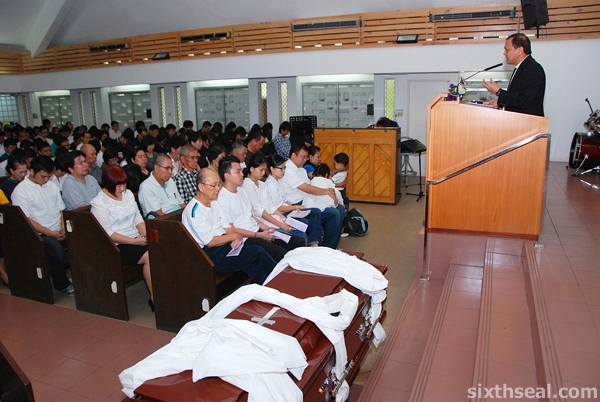 There was an hour-long service which a lot of her friends attended and me and my sister gave a speech. 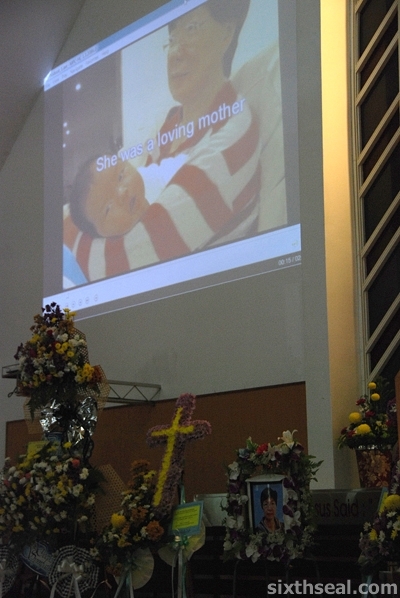 I also made a short movie to commemorate my mom that was screened at the church service. 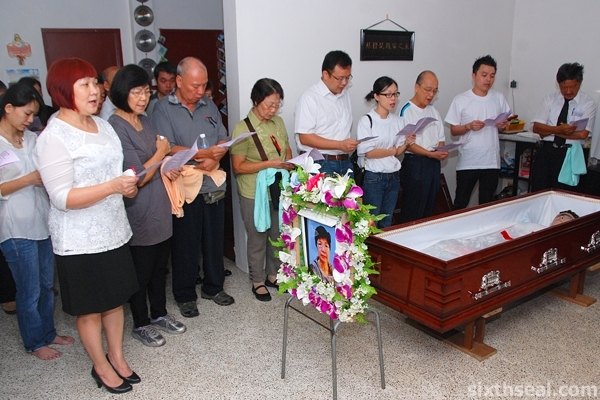 …and we paid our last respects before coming back again 3 days later. I’m not sure if this is a Chinese custom or a Christian one though. 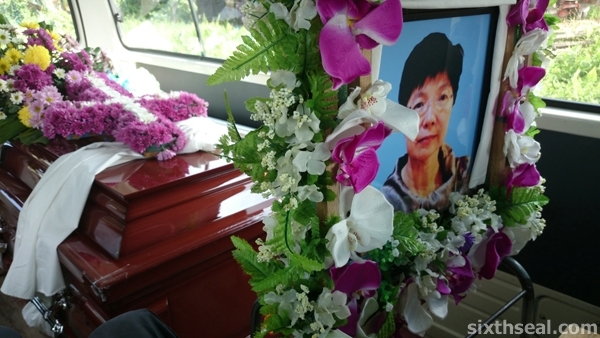 I’m back in KL now after shuttling between here and KL and Singapore, doing the documentation for my mom’s sudden passing. She has been fighting cancer for a long time and a sudden deterioration made her unable to undergo her radiotherapy sessions, and relying on chemotherapy alone didn’t really help as she rapidly went from wheelchair-bound to bed-ridden to oxygen dependent. Thanks again for all the thousands of people who came to visit and the others who send messages of condolences and funeral wreaths and food and other shows of support. It is much appreciated, all your kindness, during a difficult time. We will miss you mom. We hope you lay at peace knowing you have raised us well and we’ll do the best we can and be there for each other and dad until we meet again. 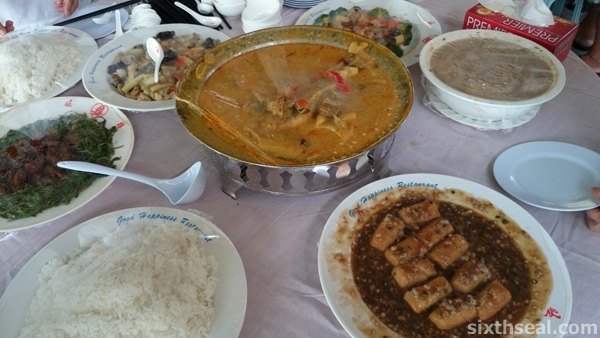 My late mom is Foochow while my dad is Henghua and they both have different cultural traditions for food after a death in the family. 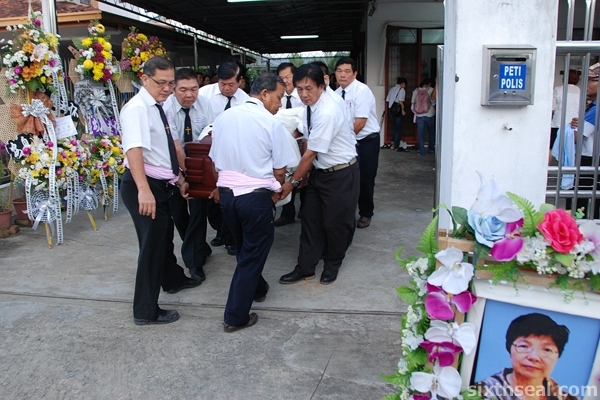 We’ve just done the 3rd day ceremony where we sweep the cemetery grounds and bring her photo back. It’s customary to eat together after this and the two different cultures have different dishes that you’re supposed to eat. This is a Henghua tradition. You’re supposed to eat longevity noodles cooked with chicken stock (real, not from a cube or bottle) and served with pieces of chicken and an egg that’s been boiled before battered and then deep fried. There’s also locally fermented red rice wine used for cooking in this dish. 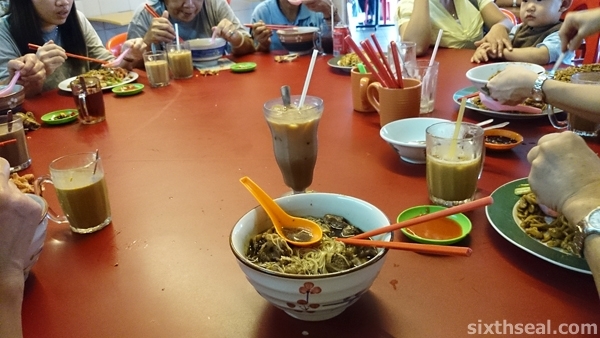 The dish above replaces the mee sua with hung ang noodles (see below). 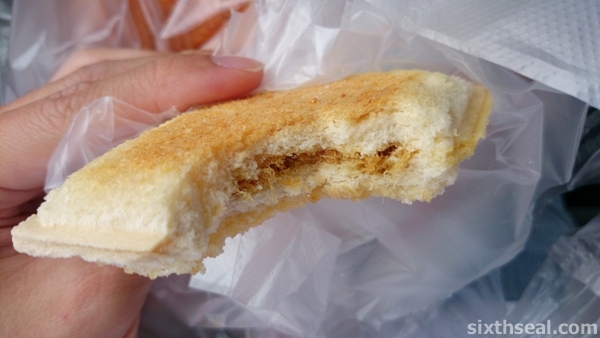 This is a Foochow tradition and we originally wanted to follow this custom since my mom is Foochow. 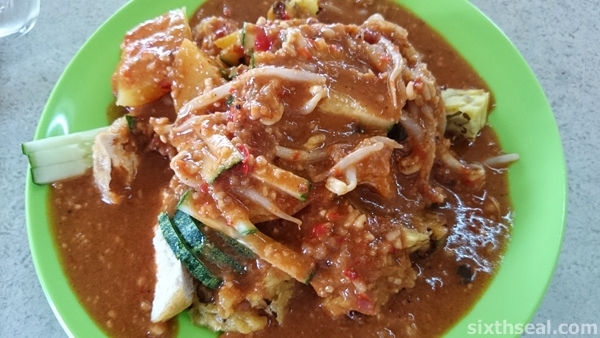 The fried thick beehoon is known as “hung ang” over here – it’s best described as a cross between mee hoon and lou shi fan. Unfortunately, we drove to three (3) different places and all of them were *closed* so we settled on eating just whatever we wanted, since my dad is Christian and doesn’t follow all these pantang (superstitious beliefs) anyway. 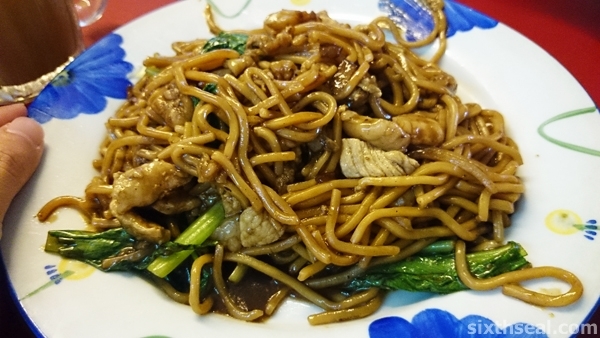 The picture above is a type of Foochow style fried noodles – the next best thing, which most people had. I had this with one of my uncles. 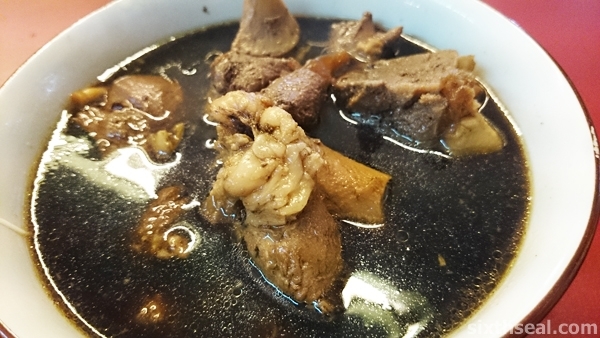 It’s stewed pork leg cooked with a specific combination of herbs and spices called pek ting yok (usually translated as 8 treasures herb). 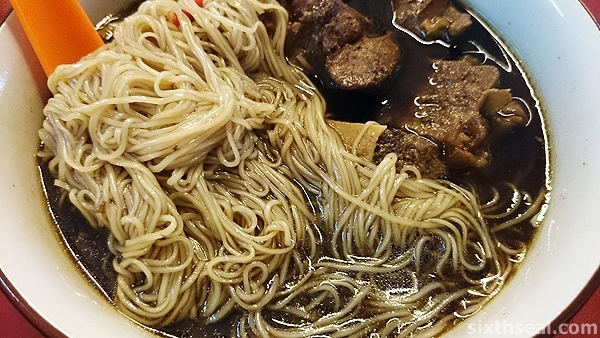 It’s RM 7 and I found it to be quite good and it fulfils the Henghua tradition of eating longevity noodles after a death and the subsequent visit to the family. 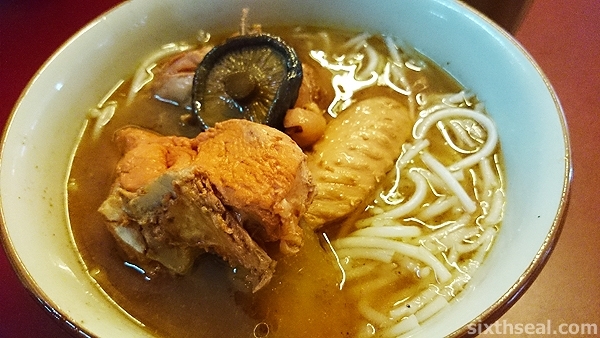 My grandma was so worried that we didn’t eat this (she’s of the older generation) and cooked dry longevity noodles tossed in lard for us at night! 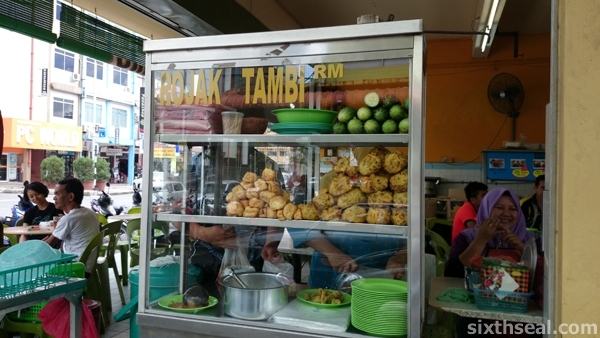 As for us, since we don’t really follow tradition, you can even eat rojak tambi if you want. I just thought it was interesting, all the cultural believes surrounding death and I never got a proper explanation on why we eat a certain dish and not another. 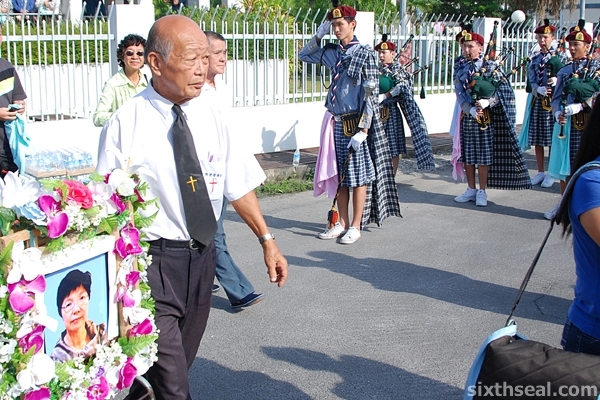 However, as in all cultures, the consumption of food after a funeral is the norm. …and we’ve been doing it as far back as 12,000 years (!!!) since the Natufian people in the Stone Age! 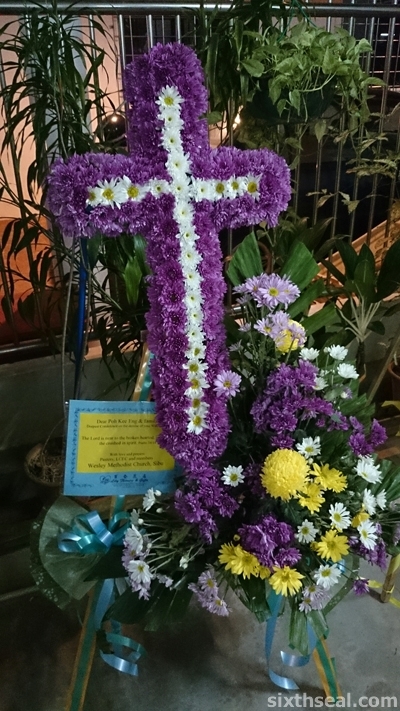 We’ve been quite busy getting all the stuff sorted out for my late mom – we’re heading to the cemetery in a couple of hours for another ritual. My dad practically stayed up for almost two days without sleep when he flew with my mom’s body from Singapore to Sibu. 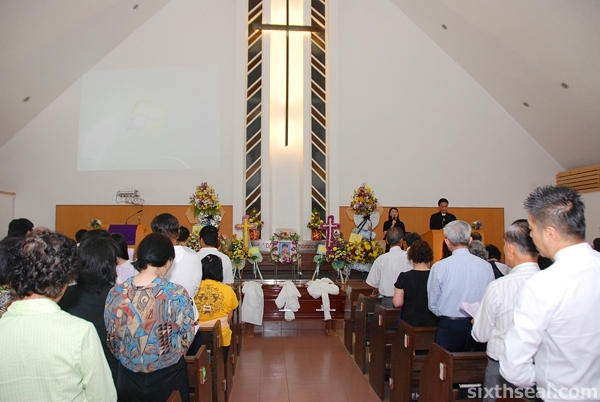 My better half also came back with me for the wake (which is *different* from a funeral viewing here, the latter is done just before the coffin is buried and the casket is open instead of closed) and all of my relatives came over. A bunch of my friends turned up too, while I was sleeping in the afternoon, so I was a bit groggy when I talked to them – thanks for coming. 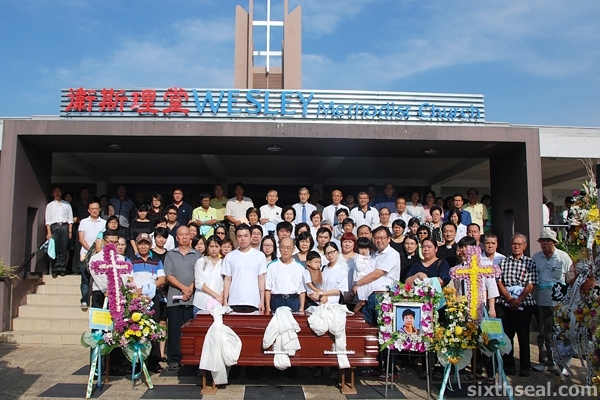 My uncles and aunties stayed up the entire night too but mostly we took turns to keep vigil over my mom’s casket throughout the two days she was here. We’re lucky to have all the help to meet and greet people – there were a couple of tables at our car porch that a restaurant provided so lunch and dinner can be served to everyone staying over. I was surprised to find out that it’s common practice for them to read the obituaries and offer their catering services. There’s still a lot of things that require sorting out, so I’ll be updating intermittently and staying here until at least the weekend. 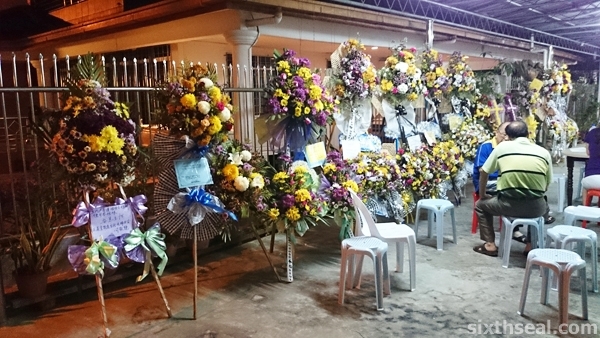 Thank you all for all the condolence messages, funeral wreaths, food and support. 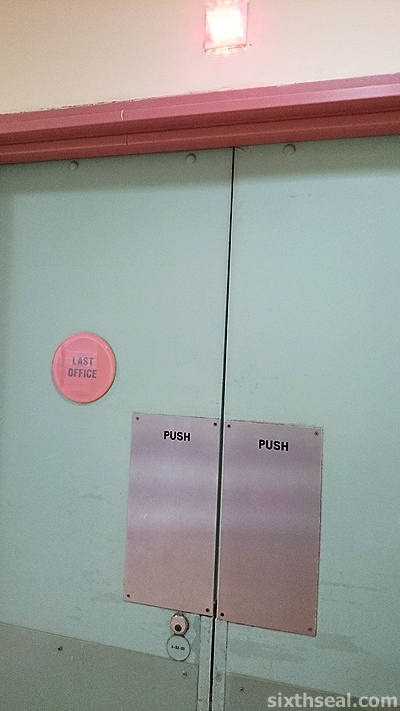 My mom has passed on peacefully at Changi Hospital Isolation Ward 2 at 2:14 pm Singapore time just now. 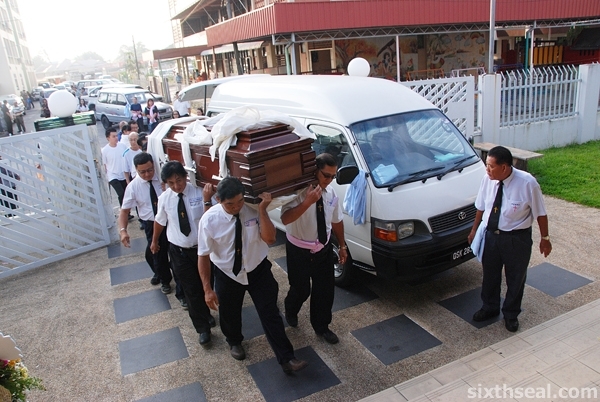 It’s a blessing that all of us were with her when she took her last breath. 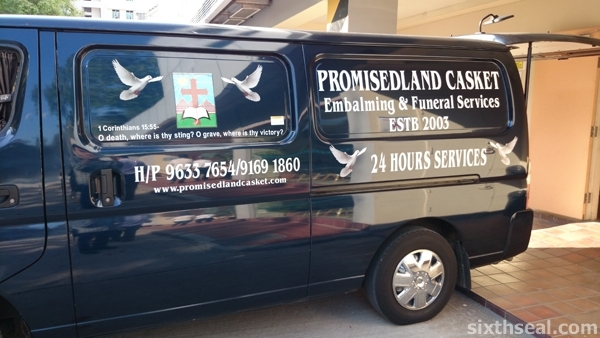 I’ve been in Singapore for a couple of days now and there’s a lot of procedures involving embalming and death certificates and what not over here. I just came back from the hospital, she has been struggling a lot with the pain last night and it was heartbreaking to see the blight that end stage cancer brings. My mom has been real strong though, she has been fighting lung cancer since 2010 when she went for the initial operation in Auckland. 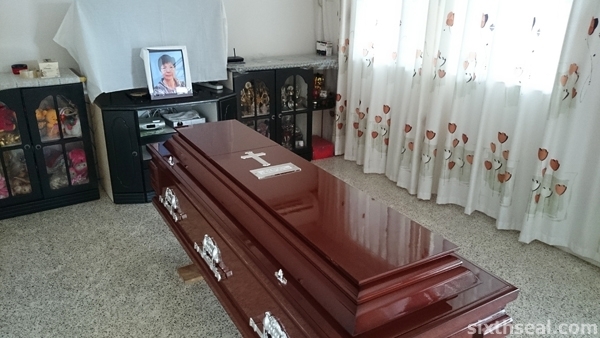 We will all be flying back to Sibu with my mom’s body on Saturday night – if anyone wants to pay their last respects, the coffin will be at our home in Sibu for at least one (1) day before funeral proceedings on Monday. 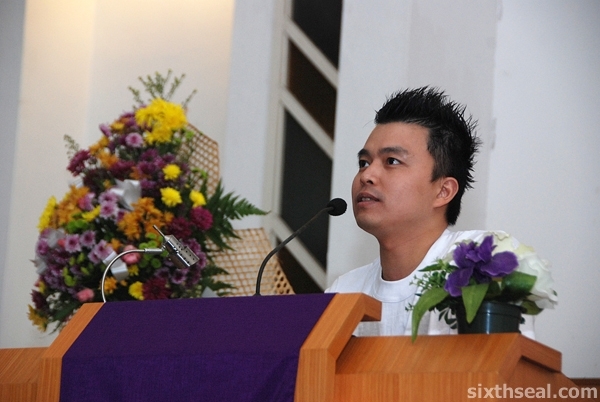 The Christian service will be tomorrow morning at Singapore. Thank you all for your well wishes and condolences. You’ll be sorely missed by all of us, mom. I know you’re in a better place now. This is possibly the best tasting dish I’ve created to date! 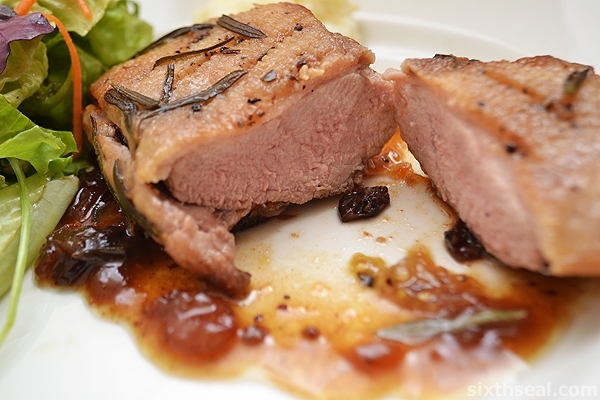 I found a recipe for Gordon Ramsay’s duck breast and tried to replicate the main components down to the dot (including the parsnip puree) while modifying some aspects (used tomatillo to add some balance to the sweet chutney). The duck breast is a beautiful piece of meat. I really like cooking with it, and I think this is the best way to savor the cut. I’m not a huge fan of traditional Chinese BBQ duck and never knew duck breast could taste this awesome until I did this. I was so engrossed in cooking that I didn’t notice I got rendered duck fat (yum!) on the camera lens so some of the later photos are a bit smudgy. The recipe is modified from Red Online. 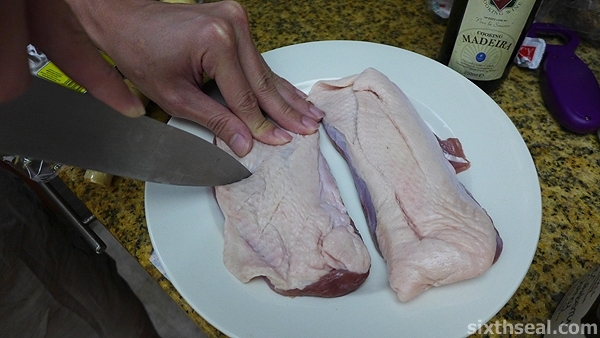 The duck breast needs to be scored for better cooking and I did three (3) quick and light incisions into the skin – barely hitting the meat below. I did not use *any* butter or olive oil. I just slapped the duck breast skin side down on the pan and kept the heat consistent. You’ll be amazed by how much oil the skin produces! 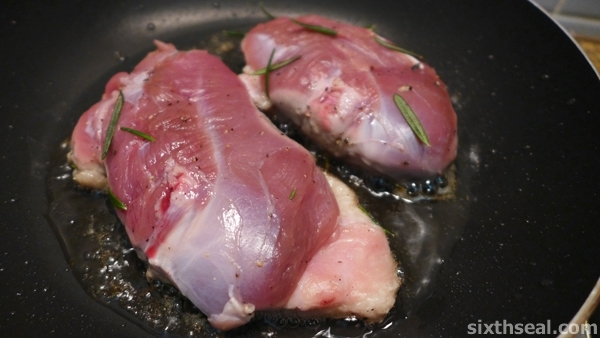 The tasty skin from the duck breast renders into delicious duck fat. 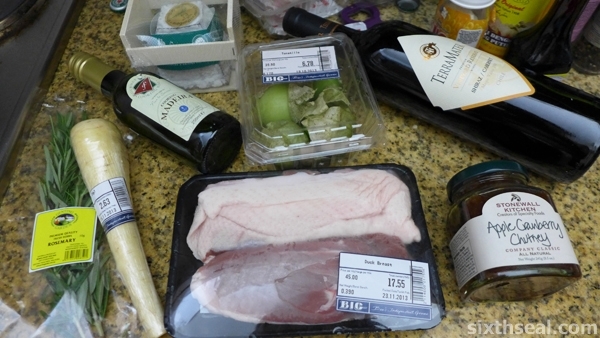 You can get an insane amount of the stuff – probably 6-7 tablespoons of duck fat from 2 medium breasts alone! 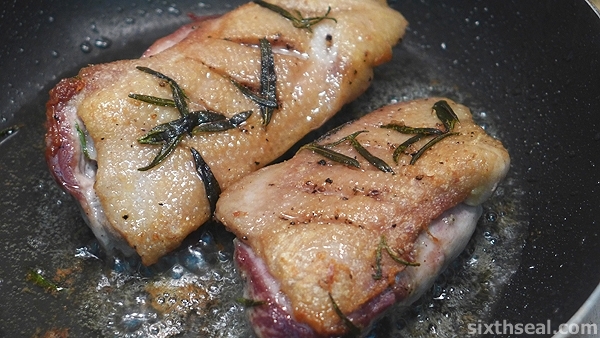 There’s nothing quite like duck fat rendering – it smells positively mouth-watering. I actually bought the tomatillos to make salsa verde but I thought it’ll be perfect to put an acidic twist, which was supposed to be from the zest and juice of an orange. 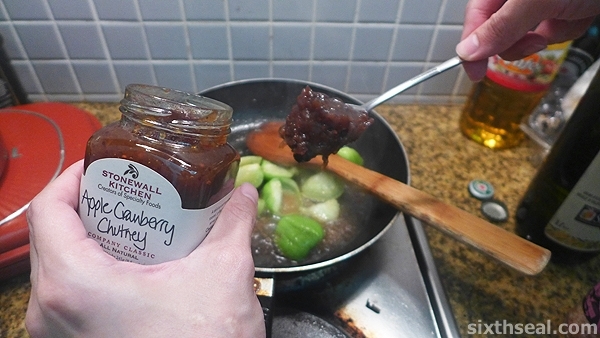 The original recipe by Gordon Ramsay also calls for port and cranberry jelly which I substituted with Madeira wine and Cranberry Apple Chutney. 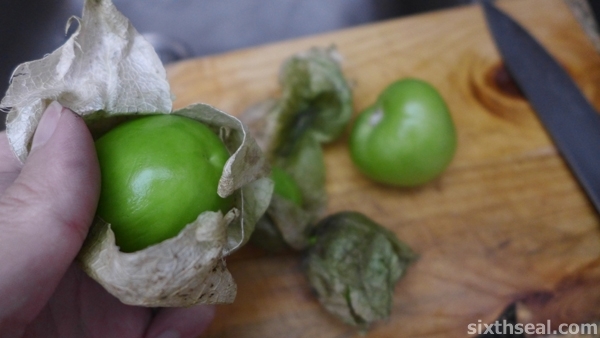 BTW, if you think that the tomatillos looks a lot like cape gooseberry (sold as physalis here) that’s coz they come from the same family! 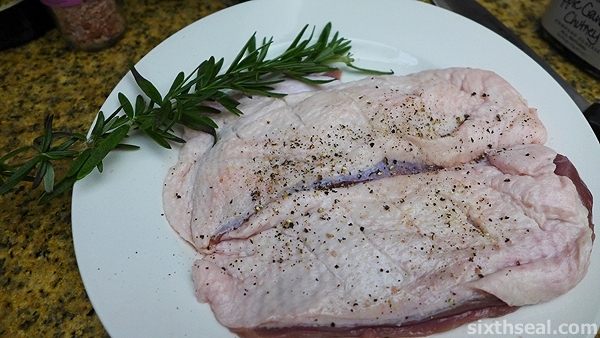 The duck breasts are really easy to cook – after about 10 minutes on low heat with the skin side down, the fat has mostly rendered – flip them over and lightly brown the other side for a couple of minutes and leave it to rest. 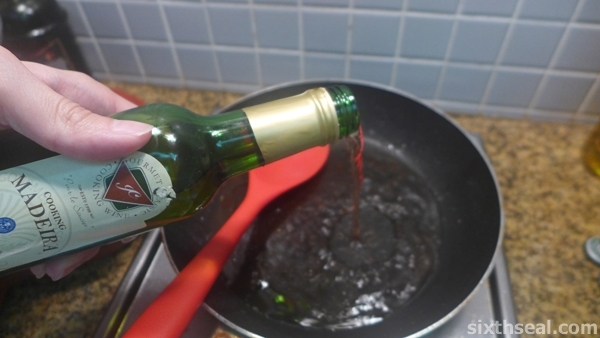 The Madeira wine is used to deglaze the pan. It’s a cooking term that means “scrape the crap from your pan with a liquid while keeping the heat on and keep the liquid + crap”. Meanwhile, I had cut my parsnips into small chunks, steamed them and peeled it to be ready for the food processor – in reverse order. Add some heavy cream and put it on high for a couple of seconds. I also added some fresh milk and then puréed the parsnips some more. 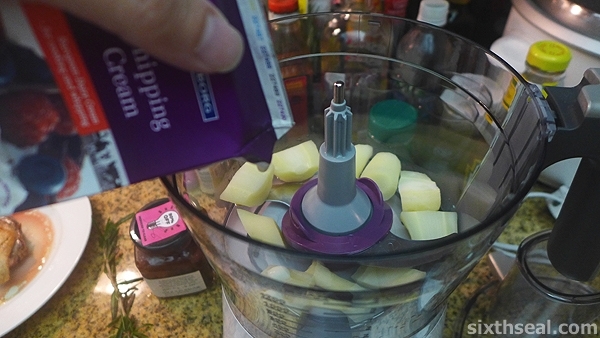 You can make the parsnip puree creamier by sieving it though some fine mesh before serving. 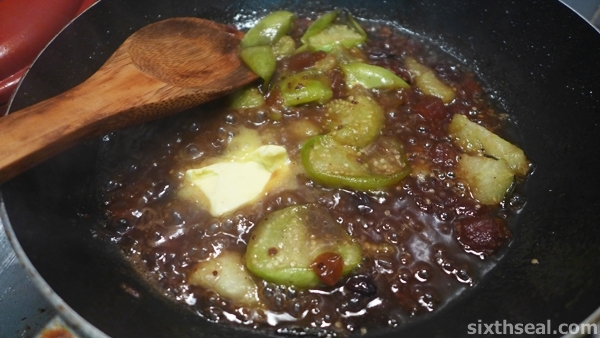 Back to the sauce, I added chopped tomatillos, cranberry and apple chutney and Madeira wine to deglaze the pan. I let this bubble for about 10 minutes to extract the flavor from the tomatillos, tasted it and pronounced it good! However, I thought it would be *better* with some butter so I put in a generous slice of butter and the Madeira jus was ready to be poured on top of the rested duck! 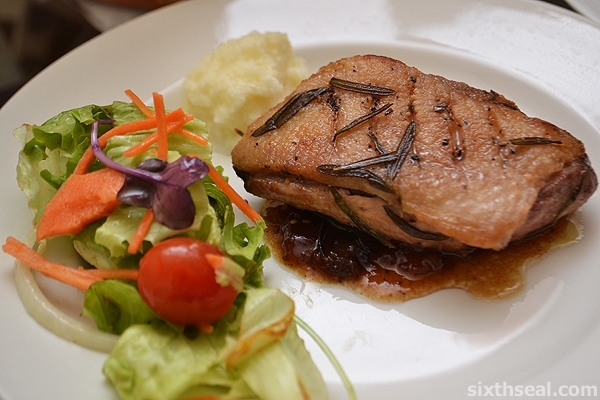 I sliced one duck breast for my dear and kept mine whole. 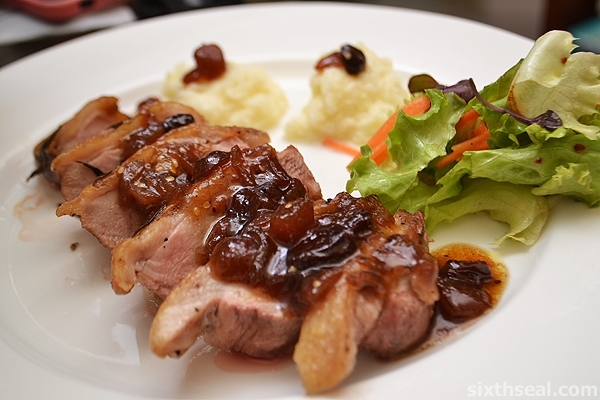 I wanted my duck breast to be served on top of the Madeira jus with cranberry apple chutney and tomatillos so I plated my dish with the duck sitting on top of the sauce. My dear wanted hers sliced so that’s what I did and spooned the sauce over the duck. I also added some salad and edible flowers in addition to the parsnip purée on the side. I’m told that this is my best dish to date and I quite like it as well! 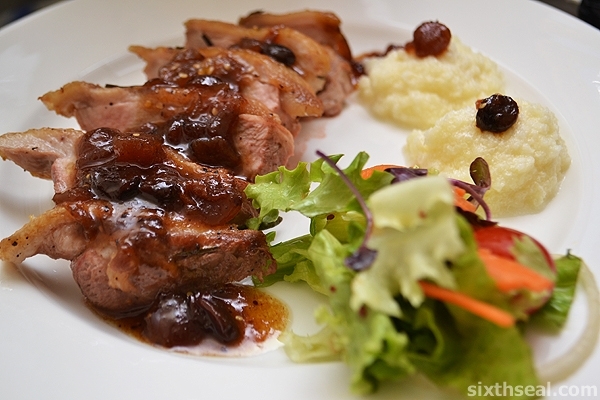 The duck breast tastes deliciously rich and the sweet-acidic Madeira jus complements it perfectly. The parsnip purée is ingenious too since the dish would be way to heavy with potatoes. I’m really keen to cook this again, it’s surprisingly easy and the rendered duck fat can be kept and used for other things (they actually sell duck fat in some gourmet groceries).